What did immigrant children bring to American in the 1800s? 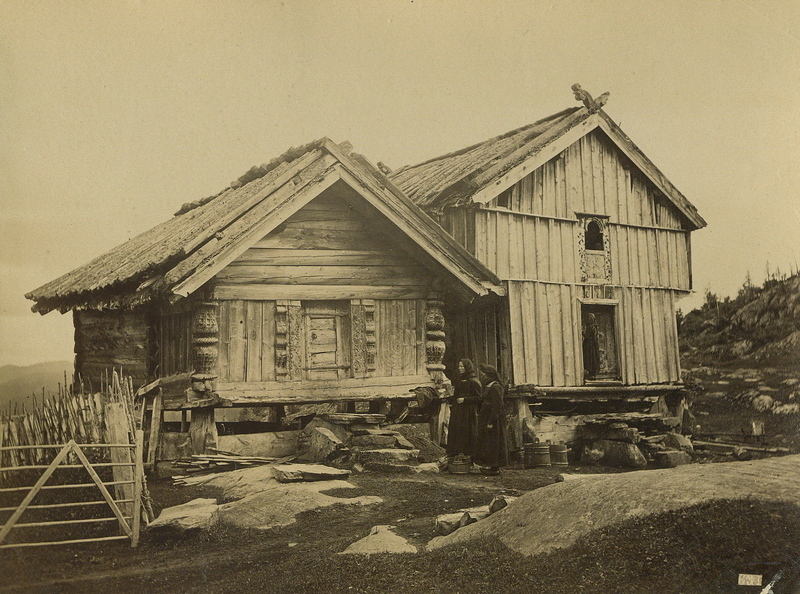 Two girls at home in Sweden. Last week I gave a History Mystery tour at Old World Wisconsin, the historic site featured in my Chloe Ellefson mysteries for adults, and we talked about the difficult choices immigrants made as they packed their trunks for the new world. What to take, what to leave behind? 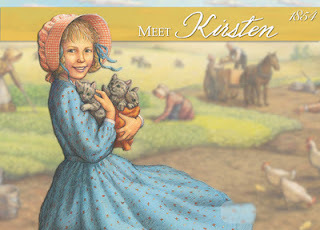 The conversation made me think of Kirsten, one of the American Girl historical characters. Kirsten left Sweden with her family in the 1850s, and settled in Minnesota. When I was invited to write a mystery about Kirsten, I wanted to create a plot that would present an interesting mystery, but also touch readers’ hearts. 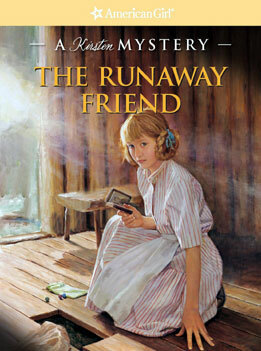 The Runaway Friend is about a boy who disappears just when Kirsten’s family needs his help with the harvest. It’s also about the challenges faced by women and girls when they found themselves half-way around the world from the life they once knew. At such a time objects from home became especially precious. 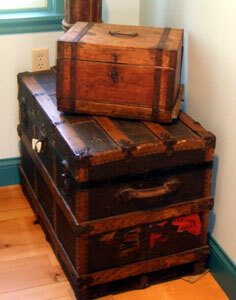 Since most of the items packed into immigrant trunks had to be practical, those pieces that didn’t serve an important purpose must have been real treasures. Immigrant trunks on display at Gammelgården Museum in Minnesota. Children were probably lucky if they were able to bring a single toy. Most of the children leaving Europe during that period wouldn’t have had a lot of toys, of course, but still…there would have been very little room for anything nonessential. 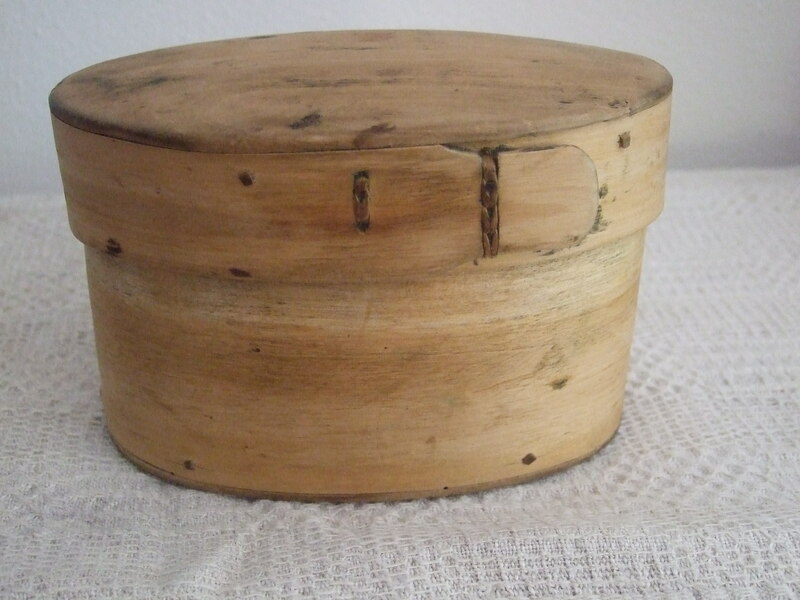 While I was in Minnesota exploring the area where many Swedish people settled, I found this lovely little Scandinavian bentwood box in an antiques store. What might have been kept inside? 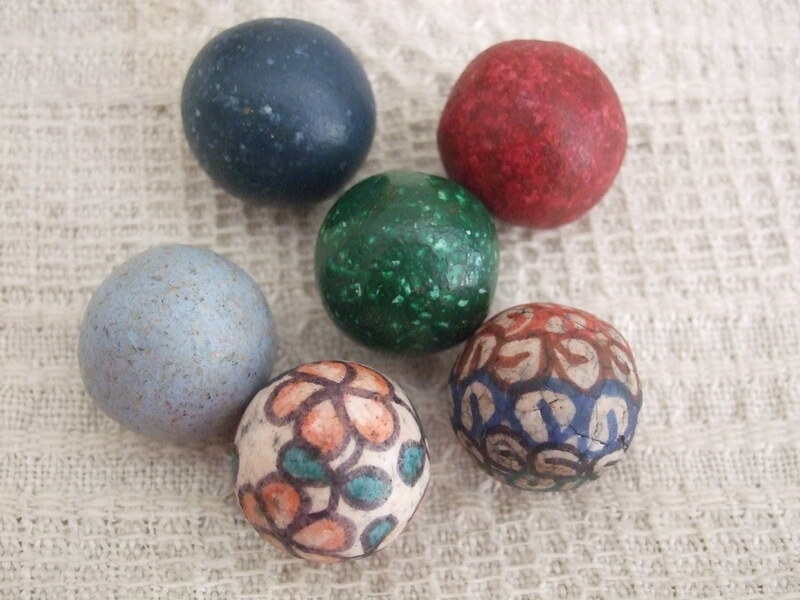 At the same store I found some clay marbles. 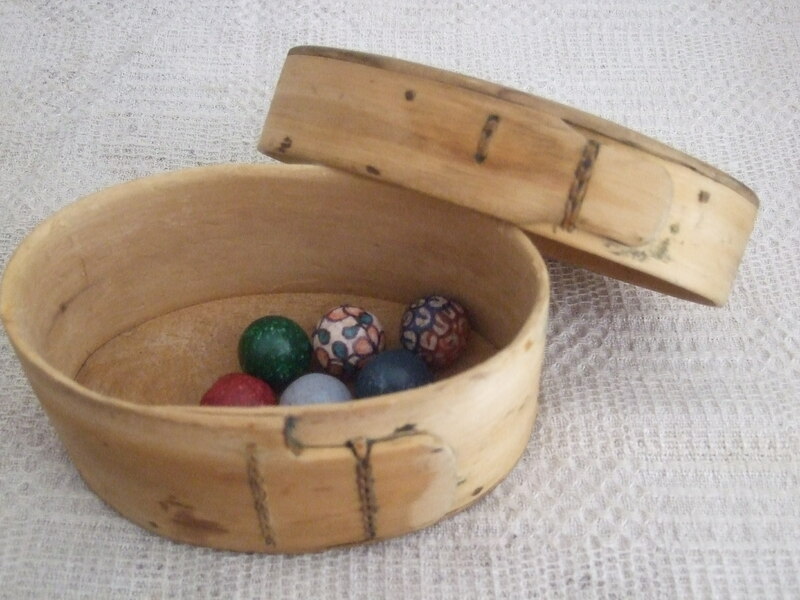 The combination made me imagine a girl carefully tucking some small treasures—like a few marbles—inside the box for safekeeping. Marbles would have been a perfect toy for immigrant children. They were small enough to carry easily. They could be played with alone, or with others. Anyone could scratch a circle in the dust and start a quick game. I used marbles, a small box, and the idea of making do with few toys when I wrote The Runaway Friend. I hope that the story helps readers imagine life as it might have been for immigrant children one hundred and fifty or so years ago. Even better, I hope the story inspires readers to imagine themselves back in time, faced with challenges and choices. If your family lived in Kirsten’s era, and you told you could only take one treasure to your new home, what would you bring?